There is nothing more welcoming than coming home to a neat and stylish driveway, an entrance that enhances your home with its beauty and flair. We offer bespoke driveways to homeowners in Milton Keynes, St Albans, Harpenden, Leighton Buzzard, Beaconsfield, Chalfont St Giles, Gerrards Cross and Bedford. Talk to our team to discuss your driveway dreams. We create amazing driveways that offer a stylish entrance to your home. They are bespoke to you, so you can choose every last detail, designing something that will completely suit your home and your tastes. Our teams are professional and will ensure that your new driveway will achieve the highest standards in both quality and performance. We have so many designs available to you. Perhaps you have an older property and a mix of gravel in tasteful colours will suit your home, or perhaps you have always dreamed of a herringbone bricked driveway for your new build house. There are countless possibilities available to you so whatever style you imagine, we can create the perfect match. 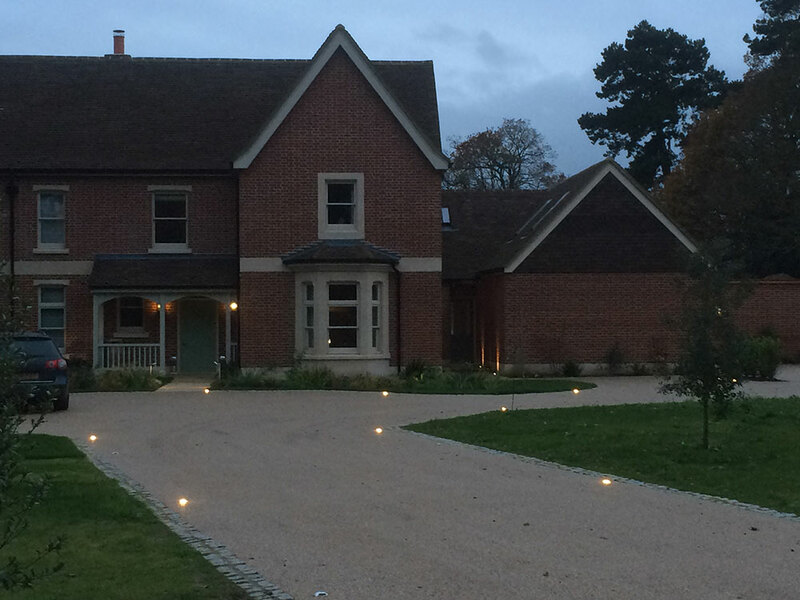 When we design your driveway, we will ensure that it is not only beautiful but practical too. We will assess the space available to ensure that the potential of the area is maximised, giving you the most space possible. Your driveway could be small, and designed for just one vehicle, or it could take up the total area of your front garden, enabling you to park several cars off road. We will design a bespoke driveway that meets your needs and still provides a gorgeous entrance to your home that will welcome you and your guests in style. We are conscious of the environmental impact of your driveway, and we adhere to the 2008 driveway regulations when creating or resurfacing your driveway. Our driveways will almost certainly not need planning permission. If the area to be covered is less than five square metres, then any surface can be used and drainage is not considered an issue. 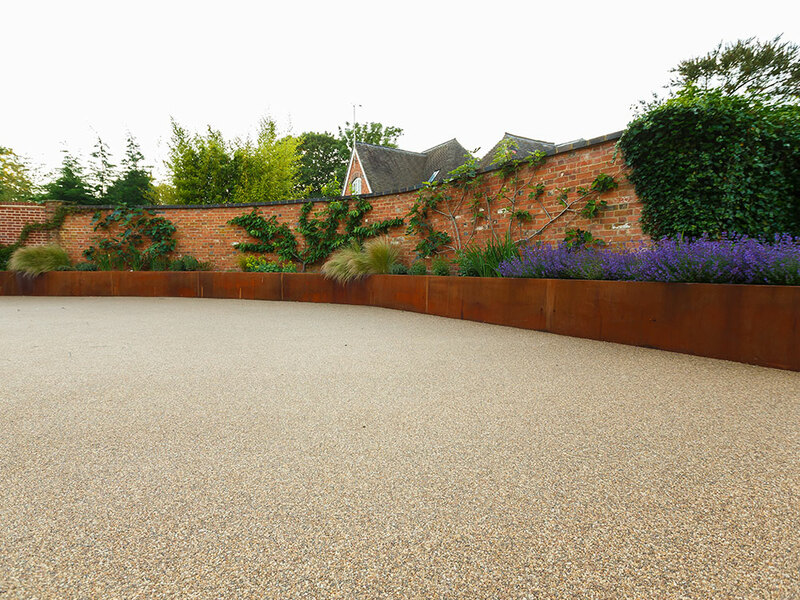 However, just because your driveway is over five square metres, it does not necessarily mean you will require planning permission either, as if there is proper drainage, or the new surface is permeable or porous, then these meet the criteria. One of our greatest qualities is our commitment to health and safety. Any building site, no matter how small, can be dangerous to the public and pets. We will ensure that our construction area is kept clean and tidy and that our tools are stored safely and away from inquisitive hands and paws. This minimises the safety risks associated with the build and will go a long way to keeping your family protected. We are also an accredited member of the National House Building Council, which means we’ve been vetted and accepted as a trusted construction company. Our driveway construction service is incredibly cost effective. We use only the finest materials and skilled builders to create a stunning yet practical entrance to your home. This does not mean that the driveways we create are unachievable, in fact, they are priced highly competitively. Our exceptional quality is just our standard service. If you would like to discuss your driveway ideas and get a free, no obligation quote, then please do contact us. We are more than happy to give you an initial consultation and explore the options available with you. Our customer service is highly thought of by our customers, and we go the extra mile to ensure you receive the best possible experience.